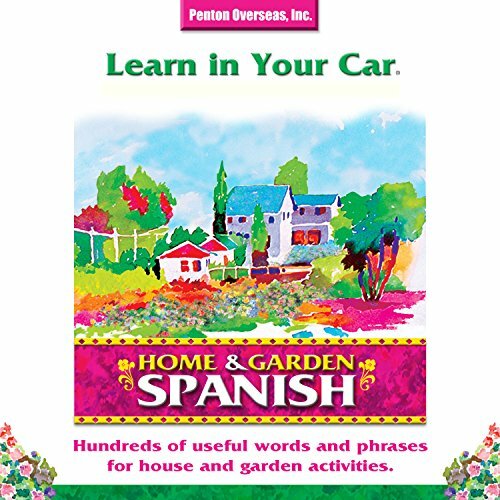 Narrated by: Penton Overseas Inc.
With so many programs that focus on travel vocabulary, Home & Garden Spanish offers a unique opportunity to enable language learners of all levels to explain and comprehend conversation about household activities, cooking, laundry, and child care, as well as all activities relating to garden care and maintenance. ©2004 Barbara Thuro (P)2014 Penton Overseas, Inc. This is a generally nice addition to the Learn-in-Your-Car series, although they could have done a better job with it. On the negative side, the pause between phrases is only a second or so. If you want to practice saying the Spanish aloud, you have to pause the recording, say the phrase, then restart the recording. This gets old pretty quickly. The sentences are repeated twice. There are also lists of vocabulary words. These are repeated only once. Some of the vocabulary words are used in the sentences, but many are not. There’s a PDF of all the sentences and vocabulary words, which you can download. 435 Sentences – Repeated once in English and then twice in Spanish. Also, there is a list of 240 additional Garden vocabulary words. These are listed in the PDF, but do not appear in the audio recordings themselves. Managed to last 10 minutes (with difficulty) Just cannot engage with the narrator. For some annoying reason this cannot be returned as with other Audible titles. Complete waste of money and an unusually disappointing experience with Audible ! Would you be willing to try another one of Penton Overseas, Inc.’s performances?